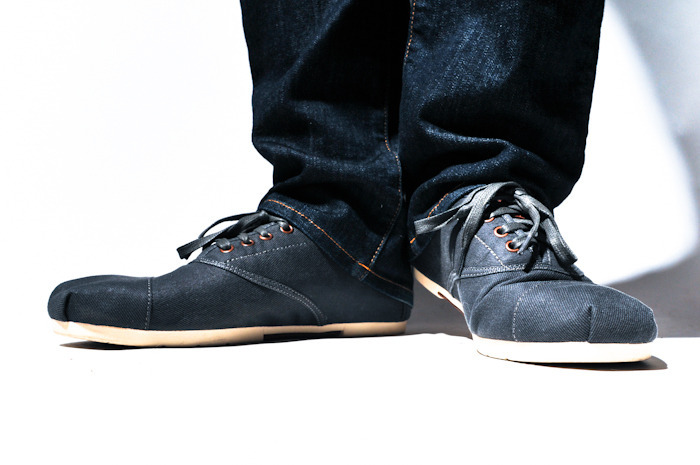 Shirt: Online, Jeans: Se7en, Shoes: Tom's. So for the longest time, I've hated Tom's shoes. Frankly, they looked terrible, much like this picture I've posted. I have a perplexed expression on my face, wondering at how these shoes got to be so popular. The way they were styled, it looked like mummy bandages on feet. It's like a cloth equivalent of crocs. But what do I know about fashion? 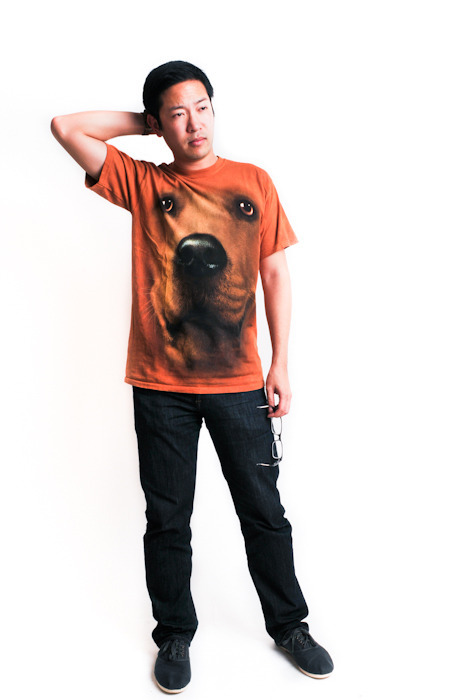 I'm a guy who wears a t-shirt with a huge golden lab to a movie at the Museum of Fine Arts. I got these Tom's shoes from Nordstrom's around Christmas. More importantly, with laces. And you know what? They look pretty darn good now. And they certainly do live up to the hype of being super comfortable. So with just this pair, I'm okay with Tom's shoes now. But whatever, I'm here to talk about that movie at the museum. If you've never seen it, I highly recommend Jiro Dreams of Sushi. I'm not the biggest documentary film person, but I absolutely loved this movie. It follows quite possibly the best sushi chef in the world, Jiro, 85 years old in the documentary, who owns a Michelin 3-star restaurant with fewer than 10 seats at the counter and commands a $300, 20 piece meal which is consistently the best sushi served in a restaurant. It's always amazing watching someone who is passionate about their craft- it really makes you want to go out and do something great as well. And for something as "simple" as sushi, you learn so much in that 90 minutes, as Jiro searches for perfection through repetition. Which could be said about so many other things in life. I sadly agree, Tom's Shoes always look to me like some sort of horrible joke. Like the free shoes administered to old people in a geriatric mental institution.